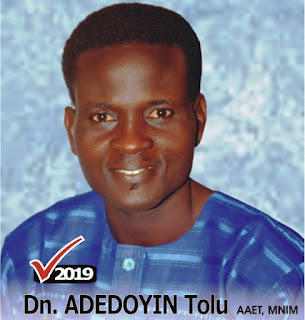 The African Peoples Alliance Party (APA) in Oyo State has warned the good people of Oyo State not to vote Adebayo Adelabu, the gubernatorial candidate of APC come March. This was contained in a release issued and signed by the acting chairman and secretary of the party, Elder Busari Agbolade and Mr. Kolade Stephen after a crucial meeting of the party at the weekend. “Oyo people are currently suffering from lack of development, poverty, hunger and poor health which have denied them from enjoying their human rights. Oyo state lacks sustainable development and leadership under Senator Abiola Ajimobi. Development could not be truly sustainable if individuals remained vulnerable to suffering, poverty, distress, oppression and discrimination, or were deprived of their rights and fundamental freedoms, including the right to food, education, and health care. In addition, the freedom of choice and free conscience, and the opportunity to develop one’s full human potential also should be respected“ he said. We appeal to Oyo state citizens not to vote Adebayo Adelabu come March, in order to discontinue the poor performance and uncultured governance of Senator Abiola Ajimobi aim at promoting poverty and suffering in the state. 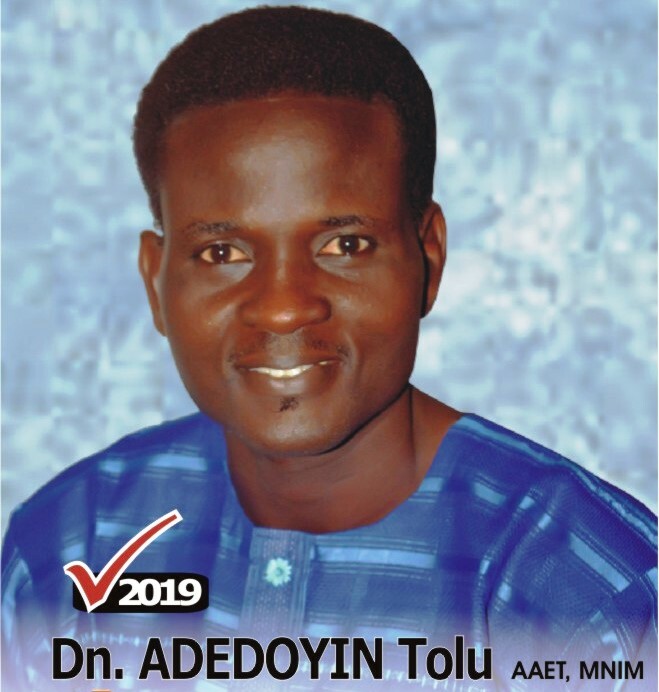 Oyo APA finally appealed to the citizens of the state to vote for her governorship candidate, Deacon Tolulope Adedoyin, come March of this year.